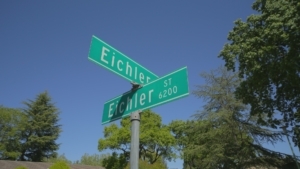 Developer Joseph Eichler was the builder of almost eleven thousand homes in California since the 1940’s. The mid-century modern style of the homes are known as “Eichlers“. They are a very popular type of resale home in the Sacramento area. HGTV’s flagship show “House Hunters” featured one Sacramento couple‘s search for a mid- century modern home near downtown. This Sacramento couple wants to leave the suburbs behind for a rare mid-century modern in the big city of Sacramento. HGTV follows Gisela and Alejo, a teacher and an associate investment manager for a pension plan, as they work their way through a move into Sacramento’s city limits. Alejo and Gisela are not alone in their thinking. Sacramento has become one of the most popular destinations to call home in all of the United States. Sacramento’s population has topped 500,000 for the first time, and the city grew at the fastest rate among the 10 largest cities in California, according to new data from the state Department of Finance. Sacramento is the sixth-largest city in the state, growing to 501,344 residents, according to the report. At 1.43 percent, or 7,000 residents, Sacramento had the largest population gain, edging San Diego (1.42 percent, or 20,000 residents) among the state’s biggest cities. Los Angeles, the state’s largest city, grew by almost 33,000 people, putting its population at 4,054,400. San Diego remains California’s second-largest city with a population of 1,419,845. San Jose is the third city in the state to have more than a million people, at 1,052,316.